Rev. Paul A. Deutsch, S.J. Jesuit High School is a private, Catholic, all-male high school located in Tampa, Florida. Established in 1899, it operates independently of the Roman Catholic Diocese of Saint Petersburg. The school has been named a Blue Ribbon School of Excellence. Jesuit of Tampa teaches a college preparatory curriculum. It has graduated many political leaders, priests, teachers, physicians, journalists, scientists, attorneys, professional athletes, writers, scholars, actors, painters, engineers, entrepreneurs, and, according to Nick Suszynski, Director of Development, 15 judges. The Alumni Association commonly refers to the high school as "Tampa's largest fraternity." 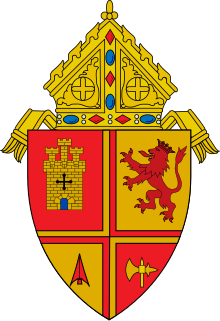 The Jesuit motto is Ad Majoram Dei Gloriam which means "For the Greater Glory of God." The school encourages its students to be "Men For Others," which is a student model derived from a famous 1973 speech given by Jesuit Father General Pedro Arrupe. Fr. Arrupe led the Jesuits in the transitional years after Vatican II, from 1965 to 1983, when the Jesuit order incorporated that Council's vision into its institutions. Jesuit High School was founded in 1899, then known as Tampa College, located in downtown Tampa, and directly affiliated with Sacred Heart Parish (formerly a Jesuit-run parish). The original site was at the corner of Florida Avenue and Madison Street. By the 1940s and 1950s Jesuit High School had begun to outgrow its original location due to increased enrollment. Father Michael Kennelly, S.J., who served as the school's president and rector from 1953 until 1959, spearheaded a $600,000 capital campaign which allowed the school to purchase 80 acres of rural grazing land on Himes Avenue in West Tampa. The campus was moved from downtown to its current location on North Himes in 1956. It was Fr. Kennelly who obtained the necessary permits and designed the new campus, which he centered around St. Anthony's Chapel. Jesuit High School had an enrollment of 245 students at the time of its relocation in 1956, and as of August 2015 had approximately 775 students. Jesuit's curriculum includes studies in theology, mathematics, sciences, fine arts, language arts, foreign language, physical education, and social studies. Of the more than 75 members of the faculty, five are Jesuit priests. The Jesuits on the staff serve in administration, teach in the classroom, and work jointly with several lay staff members in religious formation. The school celebrates daily Masses in the residence chapel at 7:30 AM and 5:00 PM, as well as monthly all-school Masses in St. Anthony's Chapel. Each school year begins with the Mass of the Holy Spirit, a tradition that dates back to the early days of Jesuit education. All students are required to attend the monthly school Mass and take four years of Catholic theology. The school has a long tradition, however, of welcoming non-Catholics and non-Christians to its student body. The school won the FHSAA Boys' Athletic Program of the Year award in 1997–1998, and had the most state championships and places at state events in 1998–1999, 2000–2001, and 2005–2006. The school won the Tampa Tribune Athletic Program of the Year award in 2003–2004, and the St. Petersburg Times Athletic Program of the Year award in 2004–2005. Over the years the baseball, basketball, cross-country, football, soccer, and track teams have combined for a total of 19 state championships, with all but four of these titles occurring since the mid-1990s. Jesuit also has a history of fielding strong wrestling and swimming teams, with numerous individual state champions in both sports. Their most recent team championship came in 2014, when the baseball team claimed the FSHAA 5A state title. The school also won the Tampa Bay Times and the FHSAA Class 5A All-Sports Award for 2013–2014. The Jesuit Tigers have also won two High School National Championships; baseball in 1997 and soccer in 2001. Jesuit has a tradition of talented coaches who have led their teams to post-season play and championships. These victorious coaches include "Wild" Bill Minahan, Dominick Ciao, Paul Straub, John Crumbley, Mike Boza, "Big" John Szponar, Bob Bauman, and Neal Goldman. Jesuit's baseball stadium, Paul Straub Field at Hyer Family Park, was declared the best high school baseball field in the country by the National High School Baseball Coaches Association in 2011. The school's sports rivals are the Crusaders from nearby Tampa Catholic High School. In 2015, Jesuit secured its 16th consecutive football victory against the Crusaders. When outside the classroom, students contribute thousands of hours of community service every year to those in need as part of their mandatory service requirement. In 2013-14 alone Jesuit students together exceeded 44,000 hours of community service. The Speech and Debate Club has sent seven members to Chicago and a policy team to the two district nationals. Other clubs include SADD, National Honor Society, language honor societies, the award-winning Key Club, religious service group Agmen Christi, Don't Feed the Artists, the school's drama troupe the "Jesuit Masque", and the Tiger yearbook and Tiger newspaper. The school spirit club, Blue Tide, has the reputation of being the biggest and best school spirit club. To the north of the chapel are the cafeteria, fine arts building, and Jesuit residence. Classroom buildings surround the remaining sides of the chapel. The "Tiger Palace" can accommodate an audience of 1,400. The southeast portion of the campus is the home of the renovated athletic center, which was dedicated to alumnus and Major League Baseball Hall of Famer Al López, and the library dedicated to Fr. Richard Hartnett, S.J. Dean Malenko (aka Dean Simon), former pro wrestler in the WWF, WCW and ECW; son of Boris "The Great Malenko"
↑ SACS-CASI. "SACS-Council on Accreditation and School Improvement". Archived from the original on April 29, 2009. Retrieved 2009-06-23. 1 2 JHS. "School History". Retrieved 2007-05-11. 1 2 3 Meacham, Andrew (2011-01-12). "The Rev. Michael Kennelly, who helped shape Tampa's Jesuit High, died at 96". St. Petersburg Times. Retrieved 2011-01-17. ↑ "Past president of Loyola dies at age 96". Loyola University New Orleans. 2011-01-05. Retrieved 2011-01-17. 1 2 3 Bearden, Michelle (2011-01-12). "Services set for Jesuit High's campus founder". Tampa Tribune. Retrieved 2011-01-17. ↑ JHS. "Awards and State Champions". Retrieved 2008-05-07.